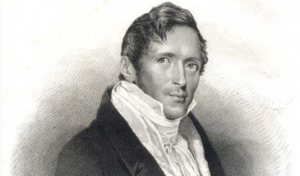 The British Museum is going to have an exhibition on Raffles in the autumn curated by Dr Alexandra Green. A maximum number of 20 members are invited to attend a talk followed by a tour on Friday 27 September starting at 6.30 pm sharp. Registration details will follow in a later newsletter. Dr Alexandra Green is Henry Ginsburg Curator for Southeast Asia at the British Museum. She has a PhD on the subject of 18th-century Burmese wall paintings from the School of Oriental and African Studies, University of London. She recently curated an exhibition entitled Pilgrims, Healers, and Wizards: Buddhism and Religious Practices in Burma and Thailand (2014) at the British Museum. The exhibition explores Sir Stamford Raffles’ collections from Java and Sumatra that arrived at the British Museum between 1859 and 1939. The show interprets the shape of the collection in relationship to Raffles’ publications, revealing his interests to be European in nature. While the purpose behind Raffles’ collection relates to Enlightenment concepts, the objects themselves provide glimpses of the relationships between colonisers and locals.